← BlackFriday Garmin Nuvi GPS Deals! Second, you will need a CompactFlash card in order to take photos and videos. 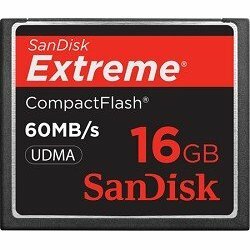 I highly suggest the fastest and biggest compact flash on the market, the SanDisk 16gb 60MB/s. 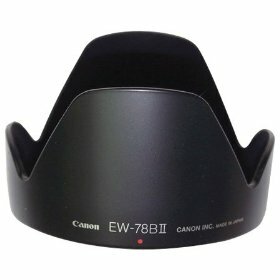 I have heard other slower CF cards causing frozen videos and other headaches. The 16GB will allow you to take around 3 million photos or 30 minutes of Full HD 1080P video. In my testing, this single CF card provided plenty of shoots/videos. 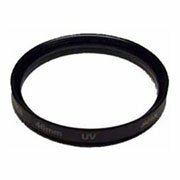 Also, get the 72mm UV Haze filter. 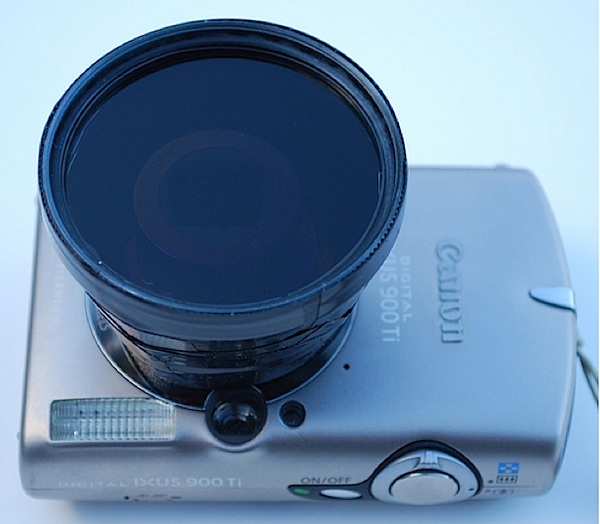 Not only does this filter out most of the UV rays, this is a small investment for your camera lens as it will protect against scratches and dust. 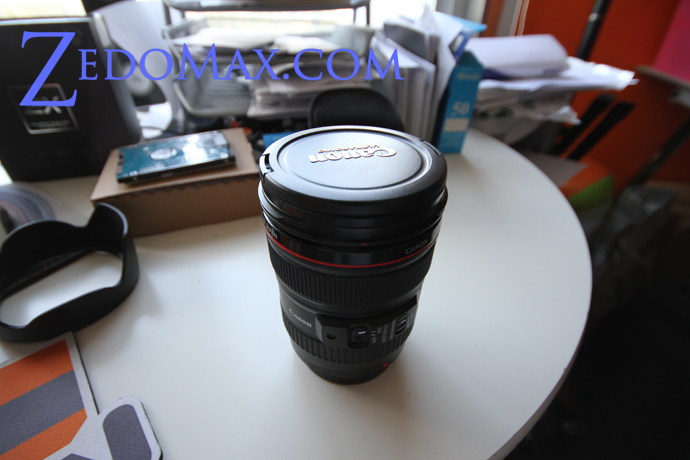 As additional protection from sun rays and also accidental drop of your Canon EOS 7d, get the Lens Hood, definitely worth it. 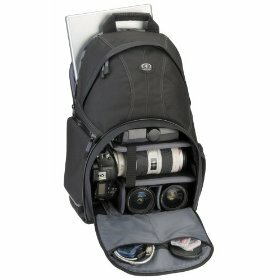 For carrying your DSLR and up to a 17-inch laptop, I got this Tamrac 3385 photo laptop backpack. 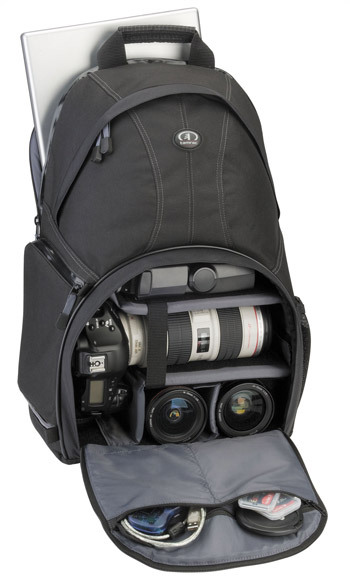 It’s sorta bulky but I find it a great disguise as it looks like a student’s backpack plus I can carry a full-length zoom lense attached to the DSLR, and room for extra lenses. 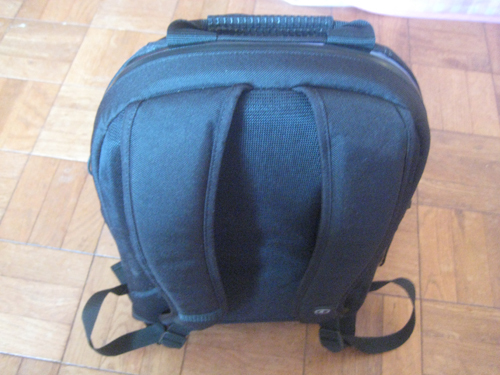 If you just need a camera bag, try the messenger bags from SlingShot. 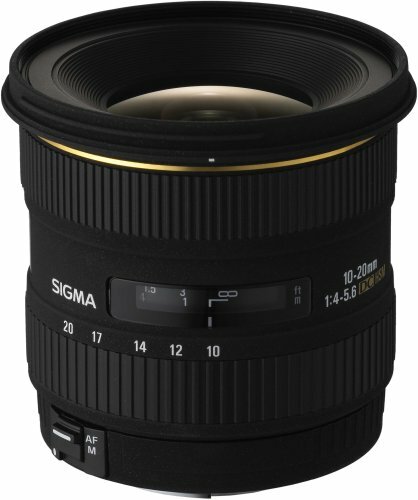 Also, get this $100 50mm F/1.8 camera lens that will let you take super-crisp photos. 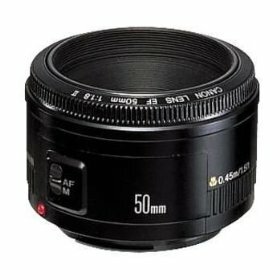 I know you already got the zoom lens but this one will do those awesome, crisp photos/videos that your zoom lens can’t for a bit more. 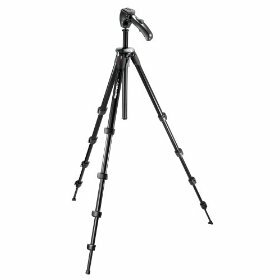 Lastly, don’t forget to get a durable, strong tripod, I recommend any of Manfrotto tripods. Well, I think those are all the Canon EOS 7D essentials for starters who don’t own Canon lenses already or just starting out with DSLRs. 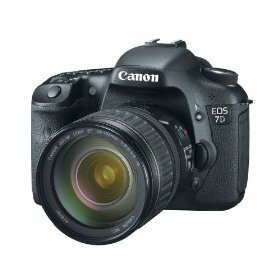 One Response to Canon EOS 7D Essentials Review! 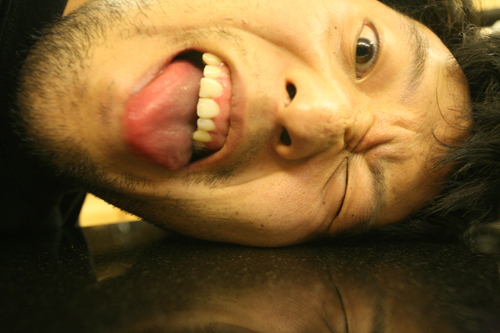 Pingback: DSLR Hack – How to Make a Shoulder Rig for your DSLR Camera! 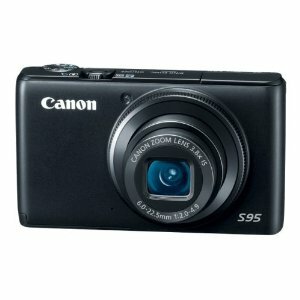 Check out more interesting categories: Digital Cameras, DSLR, Featured Gadgets, Featured Reviews, Gadgets.